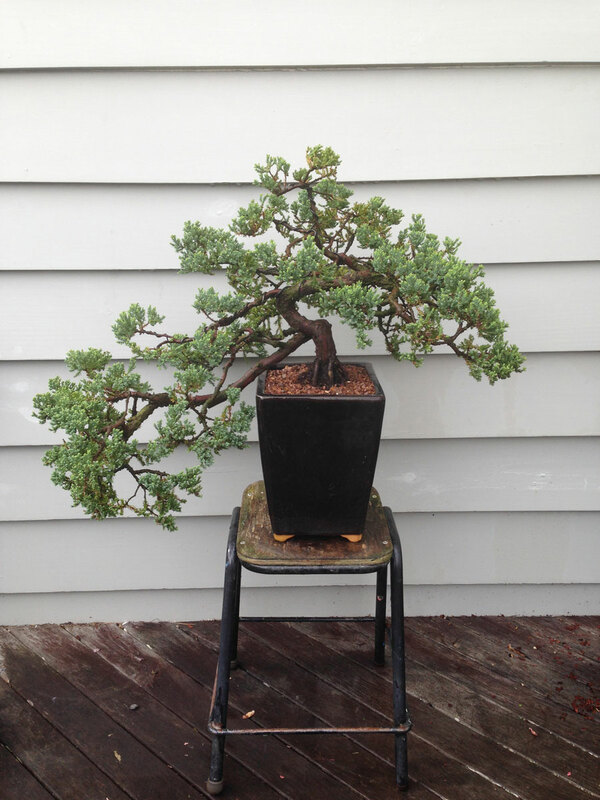 Not as big a fan as some when it comes to Junipers as bonsais (junipers were a common hedge in our yard growing up in Montana), but this one pleases me: upright with long cascading branch in the black cascade pot. This one has enough age to make it among the few bonsai I have that are a constant source of pleasure. Needs some styling but I’m not too fussed about that.